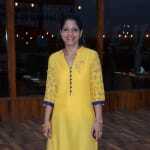 Dr. Nidhi Punia is a renowned Dentist in Hawa Sadak, Jaipur, Rajasthan. She has helped numerous patients in her 9 years of experience as a Dentist. She has completed BDS. You can meet Dr. Nidhi Punia personally at Dental pearl in Sodala, Jaipur. Save your time and book an appointment online with Dr. Nidhi Punia on Lybrate.com. Lybrate.com has a nexus of the most experienced Dentists in India. You will find Dentists with more than 43 years of experience on Lybrate.com. You can find Dentists online in Jaipur and from across India. View the profile of medical specialists and their reviews from other patients to make an informed decision. What are the symptoms for the mouth ulcer and how to overcome this disease? Please help me. Raw patches and blisters are formed on the mucus membrane of mouth and on tongue which causes smarting and burning sensation. Drink at least 10 glasses of water daily and eat fibrous diet . Take vitamin B-complex capsule two times daily. Hi, I am 21 years now a days I have a problem with my teeth, because I drink some cold drinks & eat ice creams I have pain in my teeth. What is my problem? U need to use a desensitizing toothpaste in a particular way. Please consult me privately for further assistance. Gums swollen. N gum going up from tooth. Wat I cn do doc? Cn you sugest me medicine? Hello, swollen gums could be because of deposits on teeth surface or food lodged in between teeth. Visit a dentist and get your scaling and polishing done. Brush your teeth twice daily, night brushing is very important. Floss regularly. Rinse after every meal. Visit dentist every 6 months. Whenever I brush my teeth Blood comes out from the teeth Please give me some solution to cure it. I am 26 years old female. I had done root canal on one of my tooth last year but there is still sensation and due to this there is swelling in nearby tooth. What to do? Hi lybrate-user It is less likely to have sensations in the root canal treated teeth. From your condition I can think of two possibilities 1.the sensations and swelling could be due to the adjacent teeth which would require treatment 2. Your root canal treatment must have failed due to which you must be having swelling. Kindly get it checked at the earliest to avoid any further damage. Thanks. From past few days I am feeling salinity in mouth. Whatever I eat it feels salty. There are several causes for salty taste in your mouth. It might be either because of poor oral hygiene, Vitamin deficiency, any allergies or sinus problems, side effects of some medications or salivary gland infection. I have yellow teeth and the gums have lost some how to make the yellow teeth to white and regain of gums is there any tooth paste for it please kindly notify me. Dear Mr. Nikhil, Please consult a Gum Specialist (Periodontist) You most likely have advanced gum disease with gum recession (loss) and yellow deposits called Calculus (Tartar). Kindly see a specialist, he will perform scaling and assess the gums for further procedures if required. How I remove black appearance from molar teeth surface. Please suggest me .what should I do. They might be just starting of a cavity. Kindly get it checked by dentist .kindly get a clinical assessment done by dentist. And take treatment accordingly. There is a pain in my lower molar teeth, since last 3 days, half portion of my fore head is also paining. As per your complains and symptoms you may have cavity with pulp infection. Go for proper investigation to rule out the cause of pain. If cavity it can be treated according to your pulp condition ie. Either by filling up or rct.